We have entered an exciting time in the world of tile. While subway tile will always be a staple in the industry, you have more options than ever to design the space of your dreams. 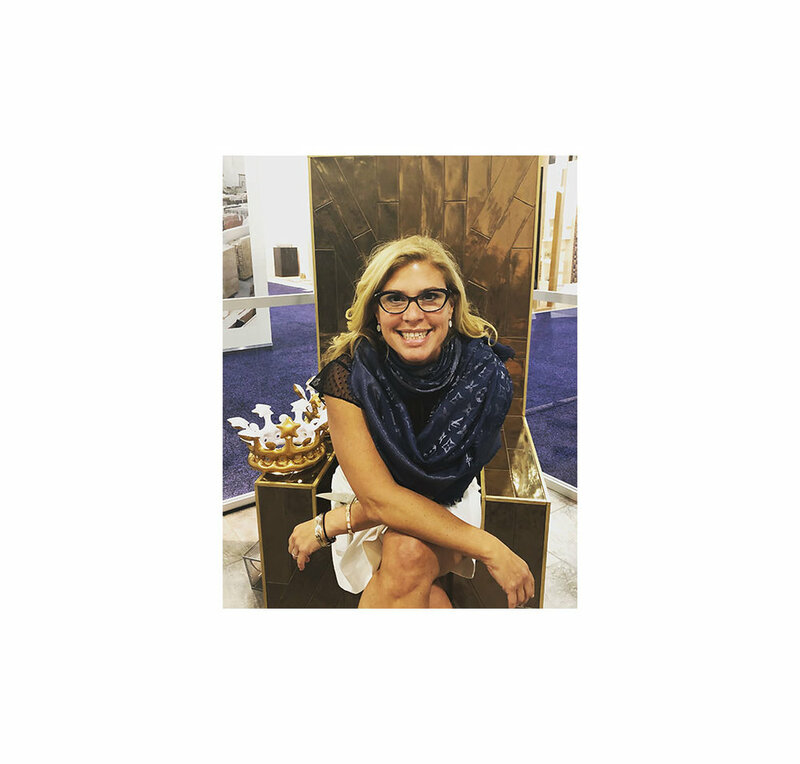 Fresh off her trip from the Coverings 2018 tile trade show in Atlanta, and the ICFF show here in NYC, Atmosphere Kitchen & Bath's resident tile expert Suzanne Cook sat down with me to talk about her top picks for what's trending in tile. Read on for the scoop on her favorite tile trends this year! At the corner of 90th and Columbus, on Manhattan's upper west side, lies a neighborhood treasure. Atmosphere Kitchen & Bath, where luxury cabinetry, kitchen and bath accessories and everything home lives. 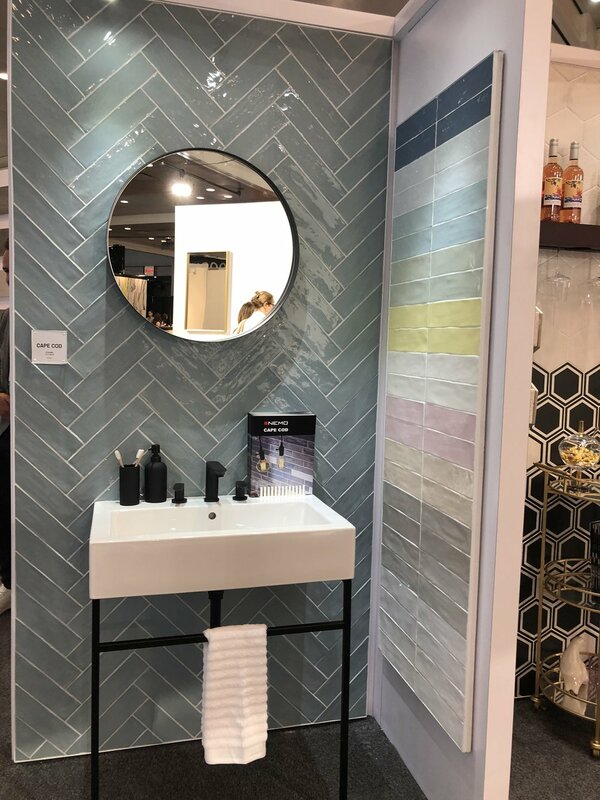 Q: What are some of your favorite tile trends from the Coverings and ICFF shows? A: Laser cut tiles continue to have a very strong presence in the market. And the way they're doing it now is more out-of-the box. It's not so modular anymore. The idea of laser cut is continuously evolving. One way this has changed is with the use of classic materials, such as marble or stone. Using classic materials, in particular marble, that's cut in different shapes, always looks great in a bathroom. Q: What are some cost effective ways to use laser tile that you recommend to your clients? A: When you use the laser cut format on the floor of a bathroom it gives your bathroom that "wow" factor. It adds texture and dimension. Because, typically the floor is a smaller amount of square footage to cover you don't need to purchase an exorbitant amount to create an impressive space. As long as you're using the same type of marble--to keep the look consistent--you can divide the tile in different directions and shapes. I love seeing the variety this installation gives. 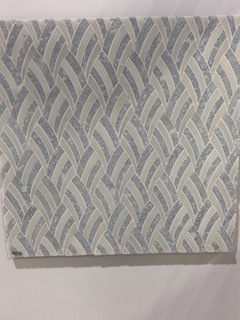 You can create this by using a hexagon floor, a 3x6 wall tile in a shower, a 12x24 outside of the shower...there are no rules. Q: Are there any classic styles that are prominent right now? A: What was once the mission style tile continues to have a large presence, but not the way they used to. 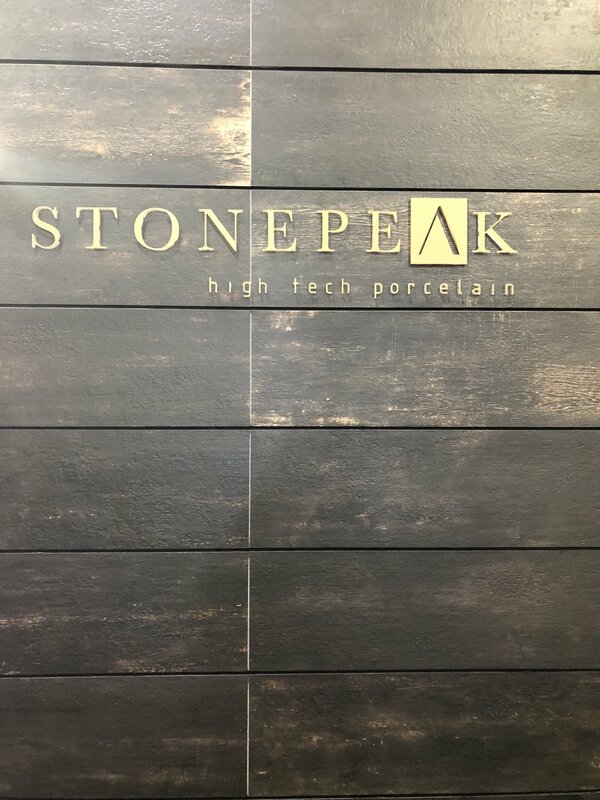 We're seeing the use of porcelain, which achieves the mission style look, but it can be done at a more aggressive price point. The original mission styles are notoriously expensive. Now you can achieve the same look, at a more affordable price point. 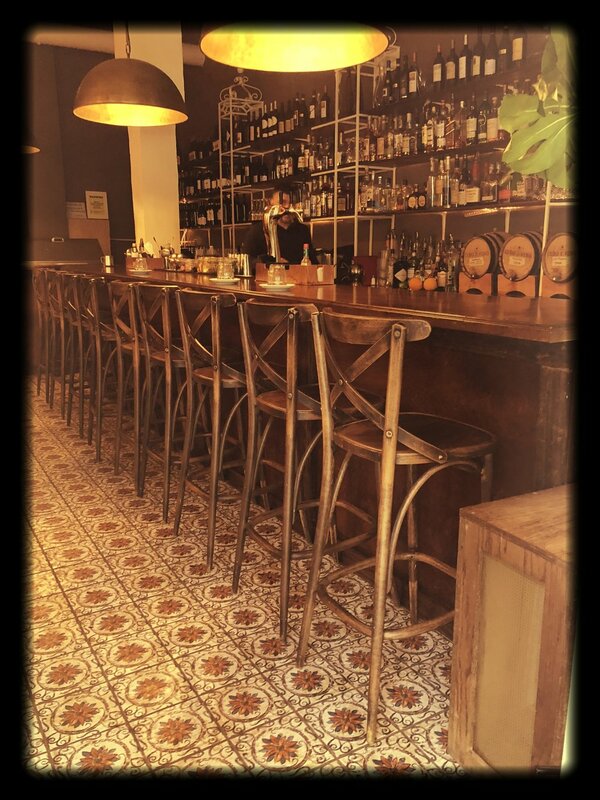 photo courtesy of Cibo E Vino. Another look that continues to be popular is all of the varieties of stone. I think that people really love the look of stone. They love the look of marble because it's so rich and timeless. But now, not only are they making larger scale formats--which is a classic style being executed in a contemporary way--but they're adding in texture. They're adding dimension. Also, wood planks are proving to be still very popular in the porcelain arena. So what's happening is now a lot of people are taking the concept of wood and adding a glass overlay to create depth in the tile. 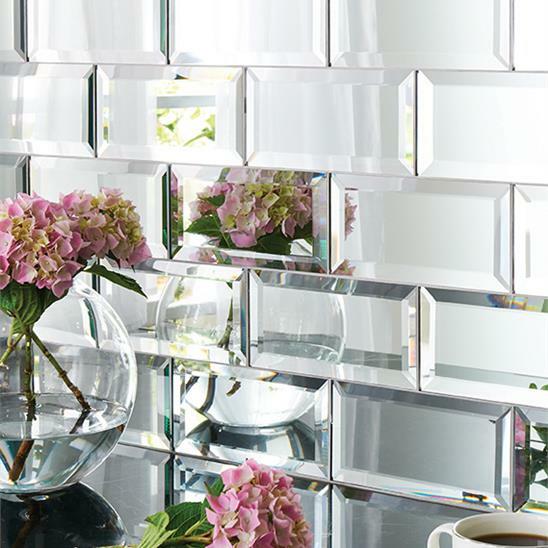 Q: Glass and mirrored finishes are dominating this year. What's the benefits of using this style? A: Mirror just continues to be a great material to work with. It's reflective. It creates light. Anything with a mirror adds a great deal to a small space. It's all these different types of mirrors that we're seeing. It's clear, it's antique, it's color mirrors, it's smoke mirrors, it's matte mirrors. There are so many different finishes. Mother of pearl, glass, acid washed, iridecent, scallop edges ... is definitely more decadent. It's feminine. It's regal. It really dresses up a space. It's like wall jewelry. Cook could talk about tile endlessly. "And here's another thing," she says, as she peruses through hundreds of images on her phone, adding, "White on whites. Tone on tone. There are so many interesting ways to execute this. Like white is not just about being sterile anymore. When people think white you think hospital, but it's not. When you do a white on white pattern, you create a crispness to the space." There is no doubt about it. Tile continues to evolve, taking ques from the world of fashion, and the elements all around us.